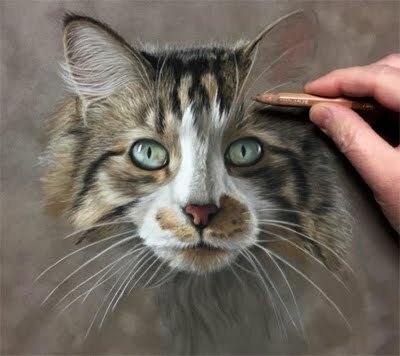 When I was contacted to commission this cat's portrait, I was sent several photographs and asked to choose the best ones. I then created two mock ups so the client could decided on a pose. They loved the two poses so much and so decided to get both done! This is the second commissioned artwork featuring the gorgeous "Two Face". You can see her full body pose here in a previous post. For this piece, I used mainly soft pastel pencils along with a bit of NuPastels (mostly the black as it is one of the deepest blacks that I can find in a pastel). I did a lot of layering and fine detailing but it was well worth the effort in the end as I am very pleased with the results. I love this pose so much that it will be featured on my next business cards. Beautiful! I love the full body portrait also. your clients must have been thrilled with these. I'm glad you like her Sue, thanks so very much! 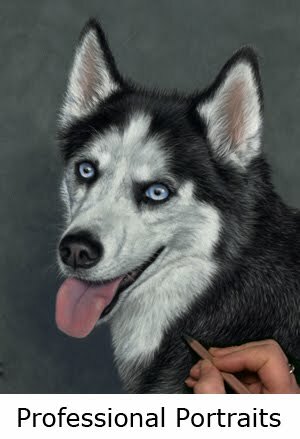 Commission a custom portrait of your pet! 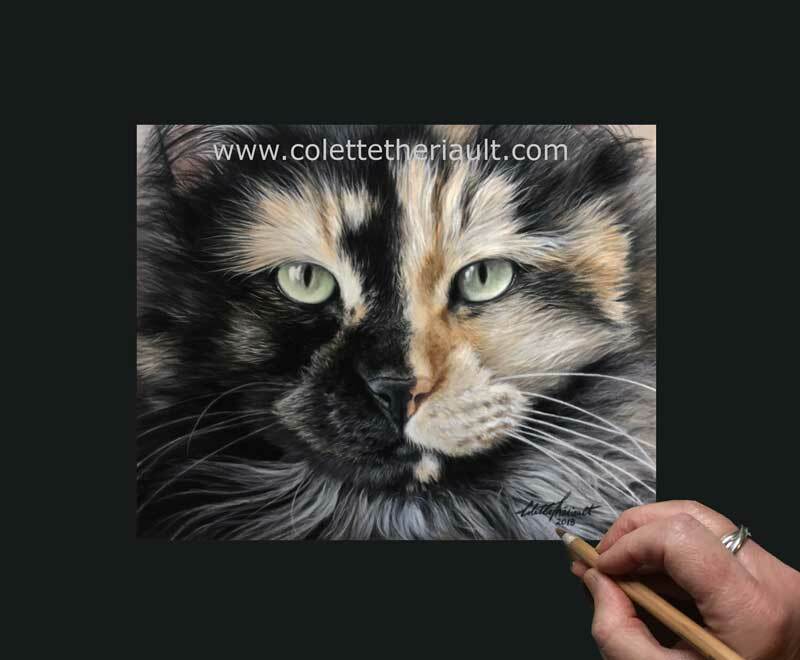 Award-winning Canadian professional pet portrait and nature/wildlife artist who specializes in detailed and realistic drawings and paintings of animal portraiture. Commissions welcome. 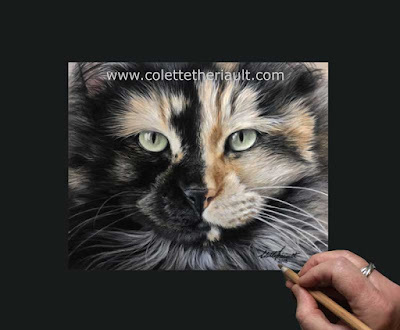 Please visit my website at www.colettetheriault.com to view my gallery, work in progress and commission process and prices. View demonstration/timelapse videos and subscribe to my channel. Follow by Email for events, updates & new works! SUDBURY WOMEN IN ARTS Book Launch: Thursday Mar 8 from 7 to 9 p.m. Show run dates: March 8-17th, Tue-Sat noon-3 p.m. @ Open Studio, 93 Cedar St. Sudbury. Portrait of yellow Labrador drawing finished? Bird Painting by Colette Theriault at Artsist for Conservation Nature in Art Exhibit!!! Seven - acrylic on panel 30 x 52"
The Gift - "The Gift" - Osprey Charcoal and Carbon on gessoed panel. 24"x 48"
© Colette Theriault. Awesome Inc. theme. Powered by Blogger.